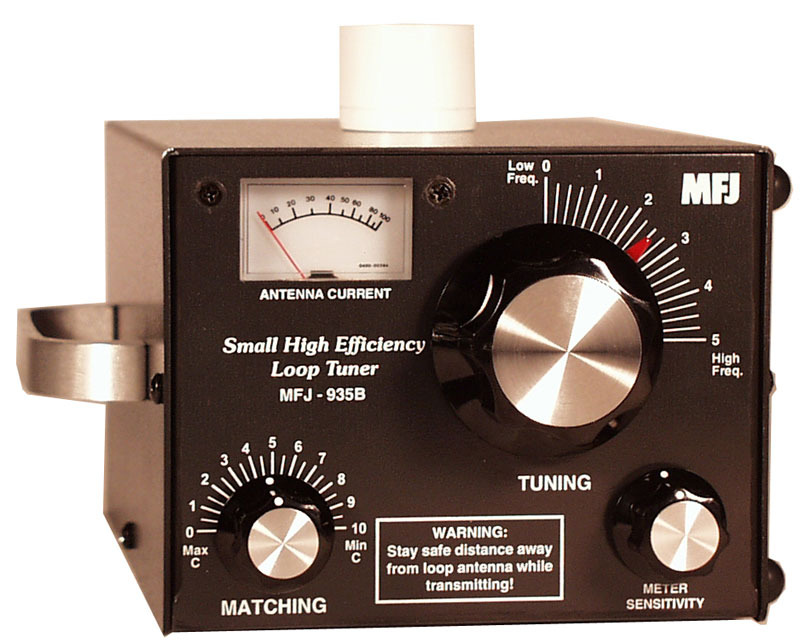 Drape a wire around a bookcase and attach both ends to this new MFJ-935B Small High Efficiency Loop Tuner! It instantly turns into a small, high efficiency multi-band transmitting loop antenna! 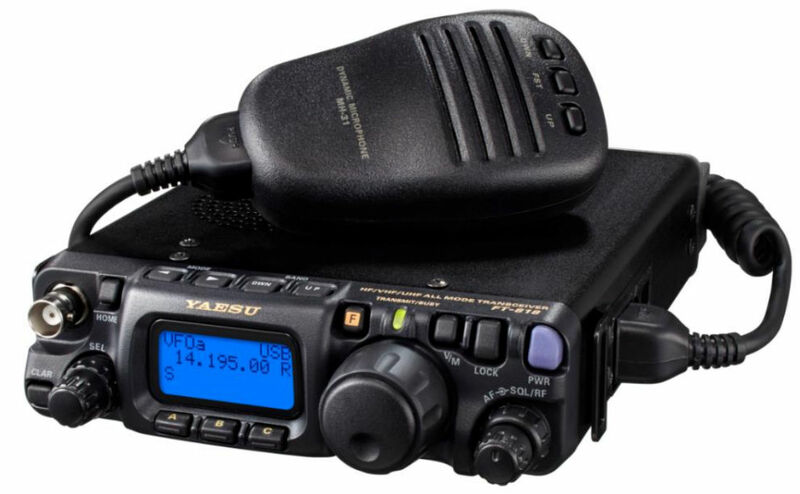 You can operate 5.3 to 29.7 MHz with a full 150 Watts. No ground, radials or counterpoises needed. A 13-ft wire formed into a loop operates 30-20 Meters (4-ft for 17-10m; 7-ft for 20-15m; 28-ft for 60m). You can tune any shape loop -- circle, square, rectangle, any odd shape. A quarter wavelength wire shaped as a circle is the most efficient. A fixed wire length covers about 1.5 to 1 frequency range (i.e. 28-18 or 10-7 MHz, etc.). Exact frequency coverage depends on wire length, loop shape and environment. 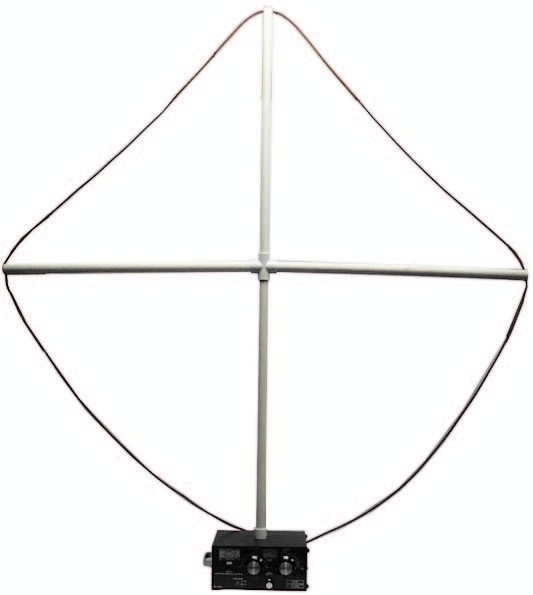 The excellent performance of a high efficiency small loop antenna is well known and well proven by users all over the world. during a storm. 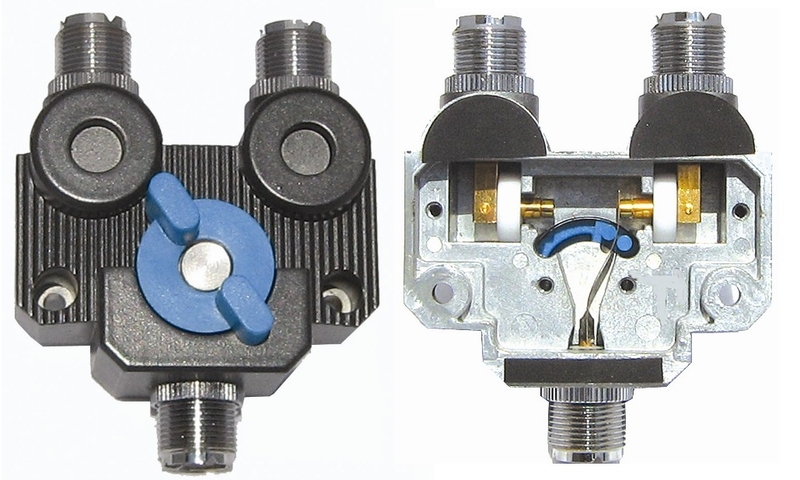 Its high-Q rejects out-of-band interference, reduces overloading, harmonics. It's perfect for apartments, hotel/motel rooms, antenna restricted, and portable locations -- it really gets out! You can take it with you and have it up and operating in minutes from nearly anywhere - on trips, vacations, DX-peditons, camping, even from a motor home. All you need is a transmitter/transceiver and a wire loop to be operating in no time. An Easy-Carry handle permits easy handling to and from portable locations. The unit measures 6-1/4" W x 9-1/2" D x 5-1/4" H.
Features include a relative RF Antenna Current Meter with 0 to 100 scale with adjustable sensitivity to make tuning for maximum radiated power fast and easy every time.